» Get more Flash-/RAMusage out of a ATMega32u4? Get more Flash-/RAMusage out of a ATMega32u4? If the search would have been a useful tool, i would have used it. But its as bad as Google (gets me more than 12k of hits for "32u4 size"). I wanted to switch from 328P to a 32u4 to get that more halve kilobyte of RAM. The sad thing is, that the same code uses much more RAM and Flash on the 3u4 than on the 328. So i already have the inromation that the USB functionality uses this space. Is there any way to get rid of the USB functionality? I do program with a ISP anyway. To get more RAM without USB, use one of the new Mega1 devices. Try use less RAM would be my first thought. How have you tried minimizing RAM usage so far? Why the 32U4? Seems an odd choice when there are chips out there with much bigger memories. For example, and sticking with the original AVR peripherals, the mega644, with 64k/4k, or mega1284 for a whopping 128k/16k. If you are not using USB you can throw all the USB code away. Then you end up with all the SRAM and Flash for your project. But there are plenty of ARM chips with oodles of memory. Most have USB too. Obviously people choose 32U4 because they want to use USB. An Arduino Leonardo has less "usable" Flash than a Uno because of the USB Bootloader and USB CDC comms. If you throw the USB away for one project, you can always restore it for the next project. I thought the endpoint buffers in USB chips were only for use by the USB, did I just dream that? The reasen i want this chip, is because im using a promicro. There is no better board with more SRAM with this size as far as i know. I already developed a board with the same pinout as a ProMini and with the 1284 on it. But i dont want to spent any more time for this. My program might just fit if i can free some bytes. How can i free up this storage that is used from the USB??? The ProMicro is just a junior Leonardo without proper header sockets. You can trash the USB bootloader and CDC in exactly the same way. And you can restore in exactly the same way. Or ignore Arduino completely and write bare-metal programs in AS7. Of course the bootloader was the first thing i trashed. But how do i get rid of the usb stuff? Why would the header for a device which lacks an EBI include these? Ignoring the Xmega parts, and the non-existent m32u6, and the m128rfa1 which slipped through my grep, the m32u4 seems to be the only part with XRAM macros defined 'incorrectly'. The m32u4 datasheet also suggests that the m32u4 has the RAMPZ register. I'm at a loss to understand why a device with 32KB of flash would need it. I shudder to think what else has been overlooked in that datasheet. What is the CDC? Does creating a custom board get rid of the USB stuff? Then how? CDC only works if the USB code is loaded into the 32U4. It is either put in the Bootloader area or in the Application area. If you erase the whole chip, you have an empty chip without any USB code. Other makes have factory bootloaders in ROM e.g. ST, NXP. Even some Atmel 8051. AVRs have always had the Boot code in erasable Flash. This is because punters have an overwhelming desire to shoot their own feet. This is why you can't alter fuses from within a Bootloader. USB chips come out of the factory with a DFU bootloader. You do not need ab external programmer. However you can destroy most things with ISP. Or destroy everything with JTAG or HVPP. i.e. you can do what you want with an empty AVR. I have told you how to use the 32U4 as a bare chip in AS7. I have told you how to use the 32U4 as a crippled chip in Arduino with a "custom" board.txt. I can understand the "convenience" of a cheap Ebay ProMicro as a prototype. If you are creating your own pcbs it would seem wiser to choose 644P, 1284P with a similar footprint. and probably cheaper than a ProMicro. As others have said it seems that until you actually start programming USB registers the entire SRAM from 0x100 to 0xAFF is available to your own code. You don't actually have to "do" anything to make this RAM available - it is by default. It is only if you set the ALLOC bit in the UECFG1X register that the USB might start to allocate 128/256/512 byte blocks of endpoint memory. The sad thing is, that the same code uses much more RAM and Flash on the 3u4 than on the 328. I simply don't believe that - what evidence do you have to support that assertion? The Leonardo / ProMicro will always link with the Arduino USB code in the Application section. The Leonardo / ProMicro will always reserve 4kB of Boot area. If you create a non-USB board in boards.txt that happens to use the 32U4 you will get regular non-USB memory usage. 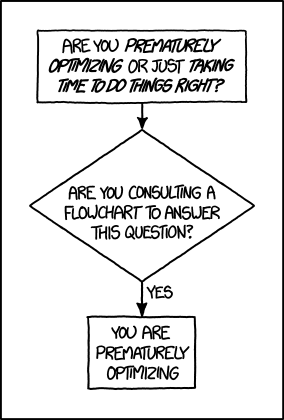 Or you forget about Arduino completely. Treat the 32U4 like any other bare AVR in an AS7 project. e.g. no Boot section, no USB, ... unless you specifically program it. That was kind of my point - as long as you don't enable USB you have all 2.5K to play with. I'm still at a loss to understand why a 328 app ported to 32U4 should use very much more RAM or flash than the 328 version?? which implies that the whole 2.5KB is independent of the USB. Obviously a traditional Arduino App expects to have Serial comms and a bootloader. This takes up quite a bit of space. The beauty of the regular Uno, Mega, ... is that the Serial is provided by an external chip. And is 100% reliable. Even if you make a silly programming mistake. 32kB works pretty well in a Uno. Especially since the bootloader is tiny. You have 31.5kB for your App. It is very difficult to fit graphics libraries and sketches in a Leonardo. He is using Arduino, and the Arduino framework does some things "on its own". In case of a board with USB support it apparently initializes USB to offer that as a serial connection to the application. It is only if you set the ALLOC bit in the UECFG1X register that the USB might start to allocate 128/256/512 byte blocks of endpoint memory. So the "too big" SRAM that it showed is only too big if the USB writes it? So i can just ignore this? My evidence is the output that showed me those values. I am using Eclipse with with arduino librarys. I guess its the same as using Arduino IDE? Of course the bootloader is already removed. So the only way for me is then a custom boards.txt ? If anyone has some good links about it, i would much appreciate it. Sorry but I missed the point that this was Arduino. I thought you were just switching from a plain 328 to a plain 32U4. If it's Arduino then the reason they made Arduinos with 32U4 was to reduce the part count and cost. 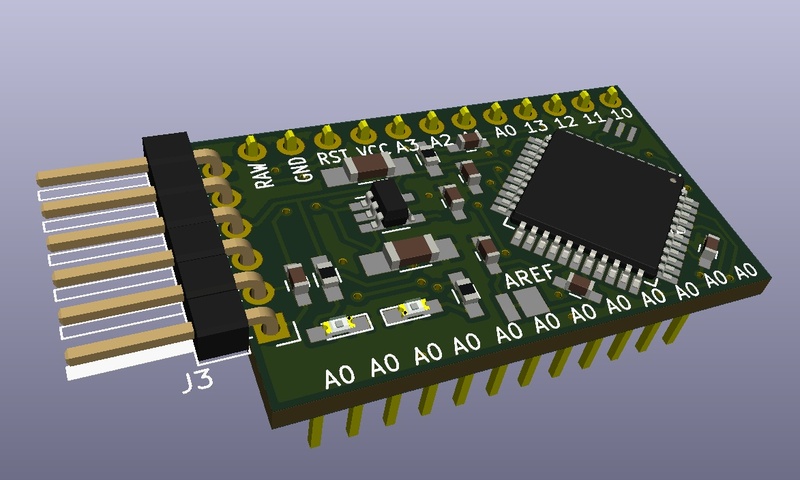 With a 328 based Arduino there is the AVR (almost complete to use apart from a small UART bootloader at the top of the flash) and there is a separate UART to USB converter chip. For 32U4 based Arduino they used the USB function within the 32U4 itself to do the job of the previously external converter chip (that is to set up a USB-CDC serial link). This makes the 32U4 based Arudino cheaper to produce but it's at the cost that the USB is enabled and using some of the chip resources all the time. If you really need more RAM you'd be better off looking at a 1284 based Arduino (which also happens to have an external USB chip too). In that you will get to play with almost the entire 16K of SRAM. The 1284 is not a "standard" Arduino chip of course so you will need to add an additional "core" to your Arduino installation to support it. When you say 'Arduino libraries' what do you mean? Do you simply mean pre-written Arduino .c and .h files? If so, I don't see how any of the USB functionality is being carried into your code so the full 2.5k of RAM ought to be available. What we haven't seen is any code. Can you post the .lss file? // Declared weak in Arduino.h to allow user redefinitions. // Weak empty variant initialization function. // May be redefined by variant files. If your custom target does not define USBCON and does not ever serialEventRun it will not need to pull in the USB and Serial code. God invented the Arduino. It seems crazy to abandon the Arduino IDE. Even more crazy to choose Eclipse. Yes, of course it can be done. But you must be prepared to do a lot of stuff yourself. There is lots of information and advice concerning custom boards and custom Cores. You will still need to be wary of third party libraries. They might assume "standard" Arduino boards. If this is above your "pay grade", you should be realistic. Many people have experience of customising Arduino and the IDE. Few people would complicate further with Eclipse. There is a 1284P core from MightyCore. As far as I know it is fairly robust. Why not install MightyCore in the regular Arduino IDE and get on with your project? I can not use a 1284 because it should have a ProMini pinout. But i have considered to spend more time with implemnenting a 1284. What has to be added in the core? I wonder if i am able to achieve this! Im somewhere between a Arduino IDE and a AS7 user. The only things i use from Arduino is Serial and delay(); micros(); and librarys for Display/sdcard etc. Aha, because the 32U4 talks directly to the PC and not, in the case of a 328, via another chip which deals with the serial to USB conversion, when you use Serial then you call in a whole load of USB code. Hence your growth in size. The code grows by 4k with a small increase in RAM usage. So, ironically, by swapping chips to one with more RAM you have grown your code usage by over 12%. And your RAM usage by over 200 bytes which wipes out nearly half of the extra RAM you gained by swapping. I also see that your code uses malloc() and friends, plus a lot of floating point. Does the end application need Serial? If not then I'd use a normal serial port, with a USB-serial adaptor, for debugging and stick with the 32U4. If you need Serial then go back to the 328 and look at reducing memory usage by optimising your code. Yes i have a few floatys, but after i converted a lot of them to int. I' ll have a look at the serial. Yes i have a few floatys, but after i converted a lot of them to int. You only need one float operation (*/+-) to pull in the floating point library so it's all or nothing. Once you have "paid the price" once for one op the increment on subsequent float use is not that large in fact. It looks like you have quite a few place where you are using 32-bit values. Do you need so much precision? When i use pow, does it use float (double) and then use the libraray anyway? I am comparing timestamps for button actions (different functions of the same button). I cant imagine how i can use them with unsigned int because that overflow may bring problems with it. Yes, pow() is a f-p function. Why do you want to use pow()? If you just want to address a bit in a variable, it is much easier to do with bit-shifts. You can reduce your memory usage by choosing the appropriate variable type. e.g. uint8_t for expressions that are in the range of 0 - 255. I have to calculate a mathmatical equation that involves pow(). I have already changed a lot of variables. By convention things like S1_A_1 would be constants: are they? If they are what are they defined as? What size are your variables? What range can they take? What precision do they need? That looks suspiciously like the canonical Steinhart-Hart thermistor equation below. If so, this is a candidate for simplification which can remove need for the pow() function. I suspect that there might be some short cuts in precision that can be made. After all you are only looking for an integer result. I have not looked. The Optimiser might improve the obvious simplification that I made. i.e. it might have removed pow() anyway. The most important lesson is that simpler expressions are easier to read. I fully understand that Leonardo has a lot of "overhead" code. Most apps can survive with 28k of application Flash. It is things like Fonts and Images that eat up Flash memory. Ok, f-p maths might cost you 4kB but it is a one-off that makes your app easier to maintain. So you're casting the result of your fancy F-P expression to int? And the only variable is RntcDiv4? Let me guess, it's a captured quantity from the ADC? Surely a lookup table is a better choice. I thought that i would get answers here, but there are quite a lot of questions ;-). It needs values from -20.0°C to 45.0°C or with int 2000 to 4500. I can not tolerate cuts in precision, because this is what i need. Its not just a weatherstation. Im measruing air masses temperature in flight. Yes i have some fonts. Big numbers and small text and numbers. Yes, but i take 2 digits precision with it. Pow takes float and gives float. Pow takes float and gives float. Internally, the pow() function probably uses logarithms. (or two) will be a lot faster and use less space. So 250 different input values which return a 16-bit output value. That's a 500 byte lookup table which is a lot less flash than using the FP libraries. Case in point: I use a precision 0.2°C accuracy 10K @ 25°C thermistor and a lookup table to convert resistance to temperature. Over your range -20 to +45°C I need just 27 pairs of 16-bit integers to achieve within ±0.033°C conversion error. Now i want to come back to the topic. I appresciate the help you give me. I now made a little modicication, so that USBCON does not get defined. Now it looks very good for the SRAM. Better for the FLASH, but still much more than the ProMini needs. Is there an easy way to tell what the difference in funtion use is?